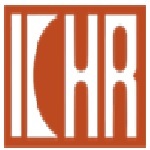 ICHR recruitment 2018 notification has been released on official website www.ichr.ac.in for the recruitment of 13 (thirteen) Lower Division Clerk vacancies. Job seekers should apply on or before 22nd January 2018. Educational Qualification: 12th class pass or equivalent qualification from a recognized Board or University and should pass type writing in English with a minimum speed of 35 words per minute on computer. Interested and eligible aspirants may apply online through the official website www.ichr.ac.in on or before 22.01.2018.